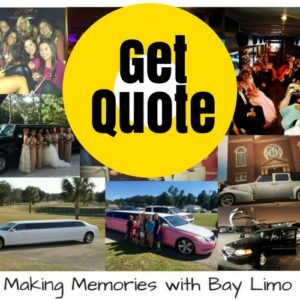 Plan your special high school event limos with Bay Limo in Destin and let our professional staff and drivers help you make amazing memories! The road traveled through High School can sometimes be a rocky one, but who says you have to make that journey on foot? Planning Your Prom or Homecoming Night? Dances are a mainstay of High School life, but once you have the date and clothes picked out, the next big decision you need to make is how you will arrive. 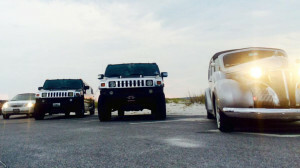 With Bay Limos extensive fleet of options, we can accommodate groups of any size. Want to make an entrance with just your partner? Why not try out our Classic Cadillac or stretch Lexus? If you’re looking for something bigger for all your friends, look for our stretch Hummer or even our Party Bus! Or any other “teen” number for that matter! Think outside the Birthday Box and try a day out with Bay Limo. Our experienced team will coordinate dates, pickup and dropoff times, along with destinations and suggestions to help take your Birthday celebration the best it can be. Whether you’re in Panama City Beach, 30A, Destin, Ft Walton or even Gulf Shores, Bay Limo and the Party Bus can take your party to the next level. Create Your Own High School Soundtrack! All along the Emerald Coast, concerts and festivals draw some of the best bands and audiences around. From the smaller party venues like Club LaVela and Spinnakers in Panama City, to the larger options like The Wharf in Orange Beach or the Bay Center in Pensacola, Bay Limo can take you to see the best shows. Why fool with traffic, parking and walking a mile just to get to the doors? Reserve your ride with us and we’ll take care of the hassles while you enjoy your event. Bay Limo and the Party Bus have been traveling the Gulf Coast for over 25 years and are the area’s top transportation pick! We provide Airport Service to all the coasts airports and private jet centers. We even have RV Rentals with or without our driver service! 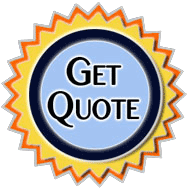 Call Bay Limo today at 850•269•1200 to find out more.